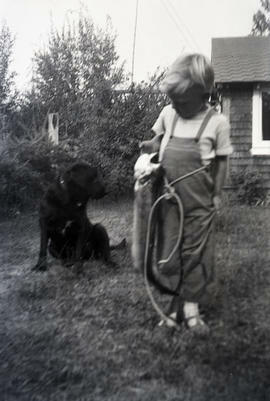 Gordon Leffler, Rose Tatlow's nephew. 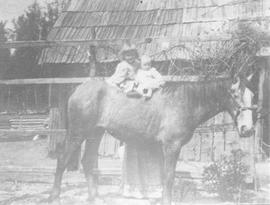 Charles Schoonover at barn in Brackendale (~1901) with wife Elvira (nee Bump), daughter Mildred, and son Robert. Allan Newton Barbour and Reba Barbour (Charles Barbour's daughter) on Barbour Farm, 1913. Pack train with Walter Magee (left) and unknown (Diminutive English cook) circa 1914. Cleveland Avenue looking south in 1914. The Newport Hotel on the far right.